Whats going on down on the Farm? The RSPB Big Garden Birdwatch takes place 26-28th January this year. It’s the biggest survey of birds in the UK as over half a million people take part. The data is important as the survey has been going for the last 40 years so when it is all collated it can be used to compare year on year information about trends in species plus it’s a snapshot of bird numbers across the UK so is comprehensive and is most important in helping spot problems and can be the first step to help to protect certain species. The big garden Birdwatch was started in 1979, but it wasn’t until Blue Peter featured this in a programme that it totally took off, although adults weren’t invited to join in until 2001. If you wish to join in with the Big Garden Birdwatch it couldn’t be simpler. Firstly, you need to find a good spot where you can sit and watch your garden, local green space, park or wherever you have chosen to observe the birdlife and wildlife too. Take a notepad & pen and if you’re like me you might need a book which helps to identify the various species. The RSPB advise taking a drink and a snack too, so you will be comfortable and enjoy the time spent without having to leave and put the kettle on! The way in which you record your information is important too. If you see say a group of three sparrows, then see one on its own, then see another two, you would record the number as three, so you won’t be double counting as the birds you saw first may have returned! 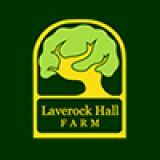 Copyright © Laverockhall Farm 2017 - All rights reserved.